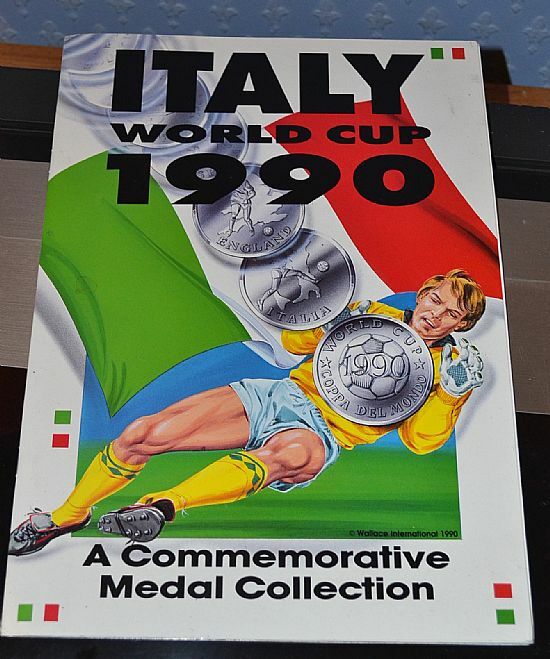 This is an unusual set of world cup participating country coins issed by Caltex in 1990. The basic set in the folder is unbranded and is fairly common on ebay and other collector sites. It is currently undervalued as the coins are lovely and heavy and well presented. 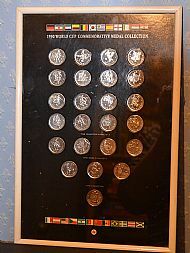 There is also a much rarer mounted framed set of the coins that does bear the Caltex logo at the bottom of the mounting. 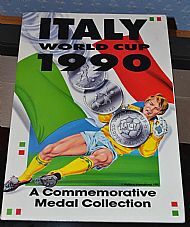 This is a beautiful and very rare set - I guess it may have been presented to employees or customers during the world cup. If you know which part of the Caltex organisation issued these coin sets then do please get in touch with me. 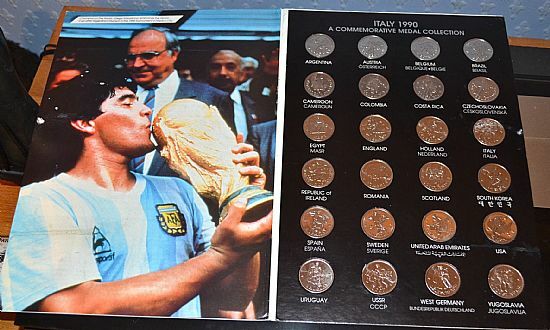 A very nice booklet and presentation folder with 24 world cup country coins. 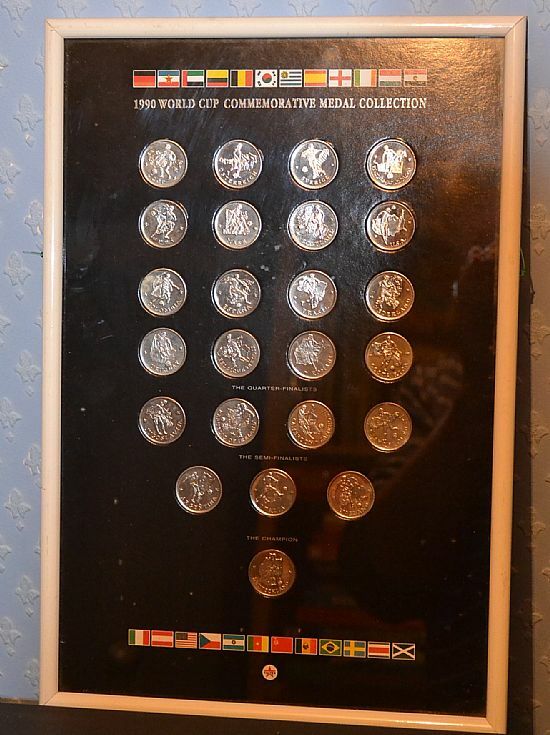 Incredibly rare post-tournament framed set of coins showing where each country finished the tournament. Only ever seen one of these - do you know more about them? Here is the presentation page showing all 24 medals from the collection.